Last week I had the pleasure of attending the Stacy London book-launch party at one of my favorite DC boutiques, Muleh. I love to stop by Muleh to browse their selection of Mulburry, Vivenne Westwood, MM6, and 3.1 Phillip Lim in addition to their modern furniture and art collection. It was the perfect setting to enjoy wine and snacks from Cork and listen to an intimate talk from style expert, Stacy London. Muleh Sales Associate, Brandi Welch. 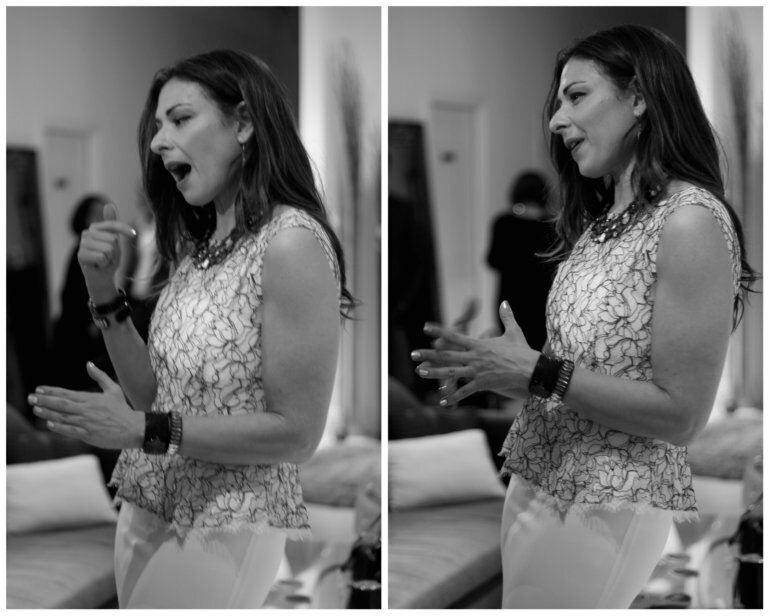 Stacy London in action wearing an Alice + Olivia Shovan Lace Peplum Dress (available here). Beautiful attendee shows off her masculine style. Stacy London is currently promoting her book, The Truth about Style. "A book that delves a little deeper into [her] personal story [and] explains why style is so helpful as a tool for building self-esteem." Stacy also shared some general guidelines on how to age in style. 20s-early 30s: Trend sweet spot. Following trends past this age runs the risk of looking old. 40s: Avoid headbands. They're a big no no. 50+: Be careful with showing skin. The older you are the less skin you should show. When asked how Stacy was in person, I compared the experience to seeing a band live for the first time and discovering they sound exactly the same or better than their album. You know they're legit! That's how I felt seeing Stacy. She was just as beautiful and fit in person as she appears on TV. She's definitely the real deal. What do you think? Do you agree with her tips? Omg that beautiful attendee with masculine style is my college friend Rahne. She love Stacy London. Small world lol. I would have LOVED to be there. Stacy is hilarious.. I love her. I bet it was great to hear her talk! And her Loubis - those are amazing!!! You have such a great eye for photos! Loved the B&Ws.